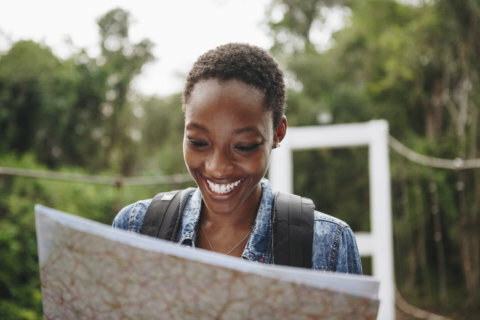 A bottle of bubbly or a box of chocolates are easy gifts ideas no matter the season, but showing that you truly care takes thought. 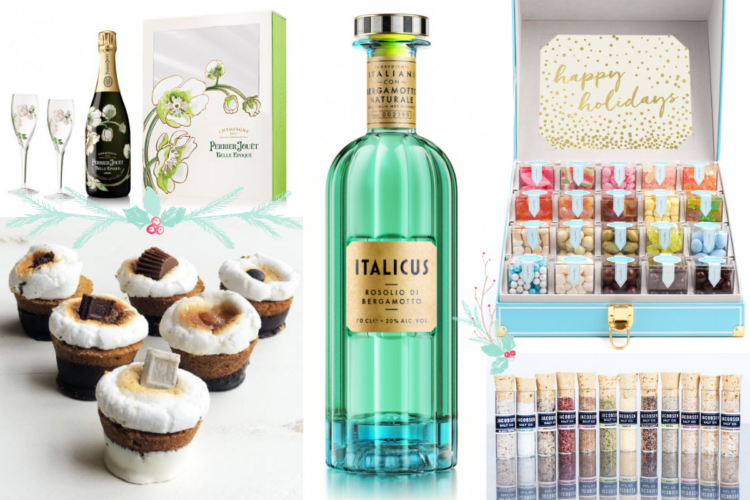 That’s where we come in: We’ve rounded up the best of the best in food and drink gifts: premium cheeses, sweet, chewy toffee, a high-end Italian liquor (in a beautiful bottle, no less) and more. And food and drink are eco-friendly and clutter resistant. If they are good, they disappear in short order. 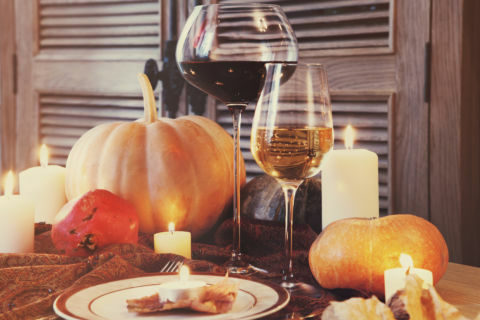 Scroll through our gallery for ideas, then let us know your favorite food and drinks gifts in the comments below. 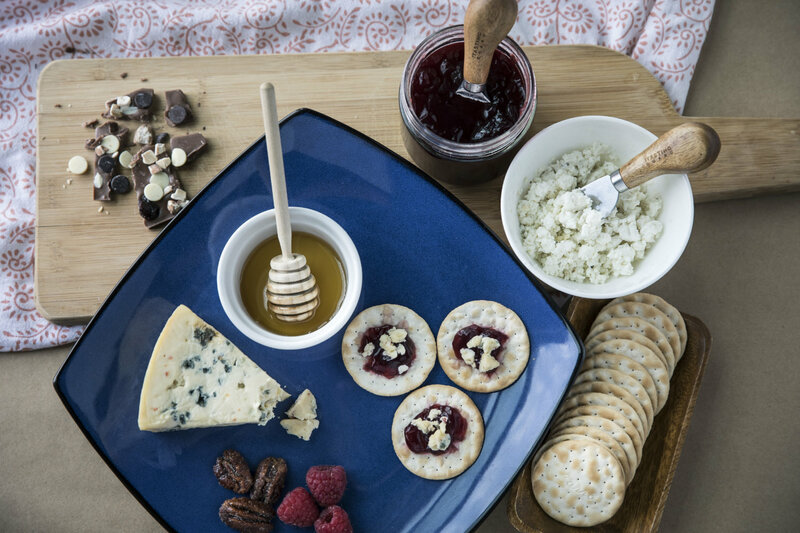 Got a cheese lover on your gift list? Look no further than the Tasting Board. Each new recipient of the service takes a cheese quiz to build a flavor profile. Then she will match with her first “cheese experience.” Tasting Board will deliver four new cheeses each month. Purchase an experience as a gift on Tasting Board starting at $64. Grok Nation readers can also get 50 percent off their first order for their own tasting experience by visiting thetastingboard.com/groknation (does not apply to gift cards). For your fancy friend, why not invest in this Perrier-Jouét Belle Epoque set, which includes one 2011 vintage bottle of champagne along with two historical Belle Époque flutes. Or if you want something a little more budget friendly, get a just-as-delicious bottle of Perrier Jouét Brut Champagne for a fraction of the cost. 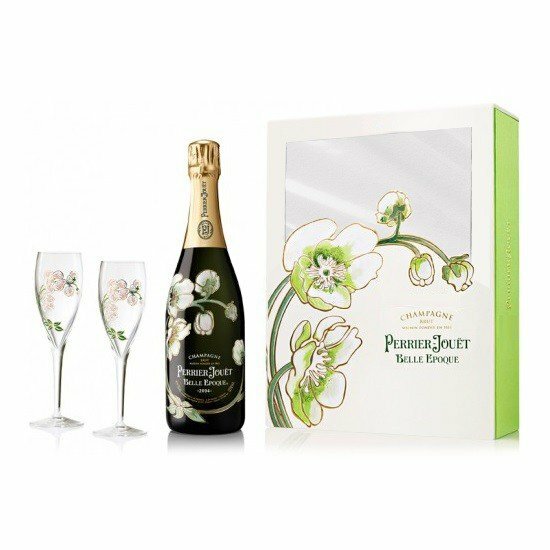 Purchase the Belle Époque set on Wine.com for $199.99, or a bottle of Perrier Jouét Brut Champagne on Drizly starting at $34.98. On the first day of Christmas, you could gift 12 sweet treats from Harry & David. 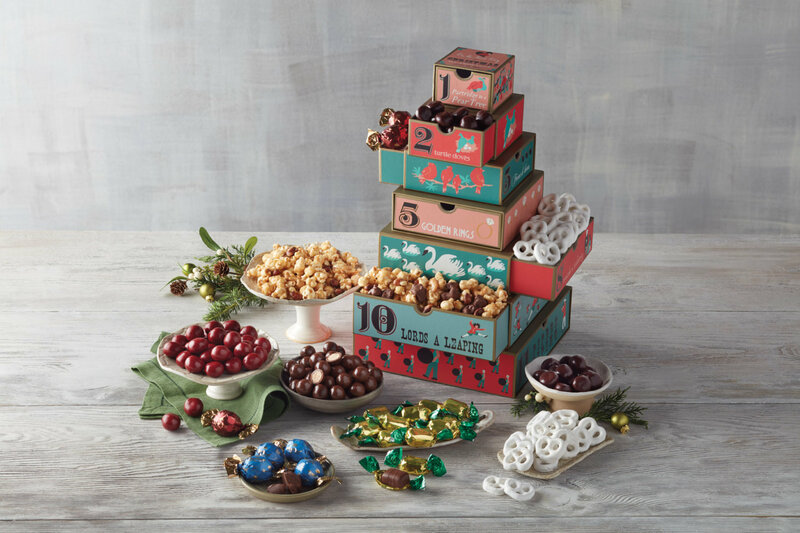 The whimsical holiday tower is loaded with goodies like Moose Munch, chocolate-covered cherries, malt balls and more. 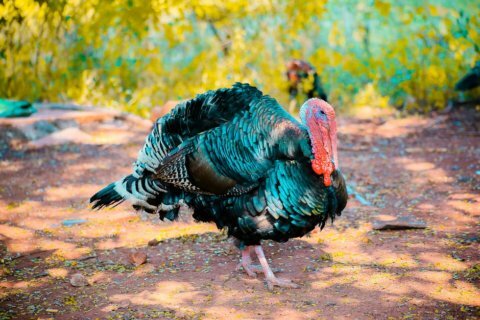 That’s certainly better than a partridge in a pear tree. Purchase the holiday tower from Harry & David for $74.95. When one Sugarfina candy cube isn’t enough, show you care with a whole trunk of sweets. The candy brand lets you pick out 20 types of their confections: whether you want to give champagne gummy bears or gingerbread cookie caramels, the options are endless. 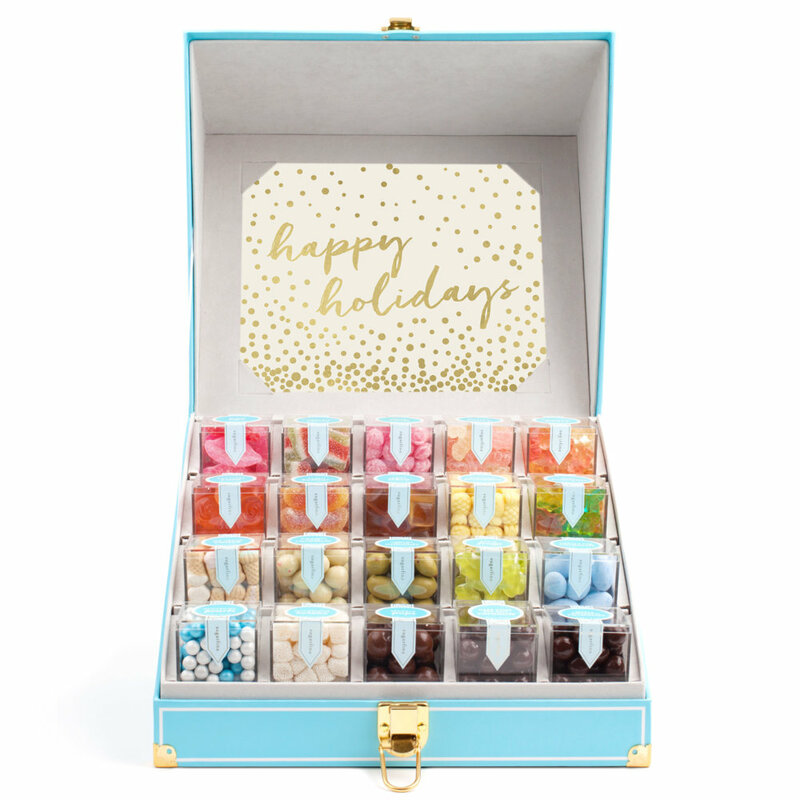 Build your own candy trunk on Sugarfina for $195. 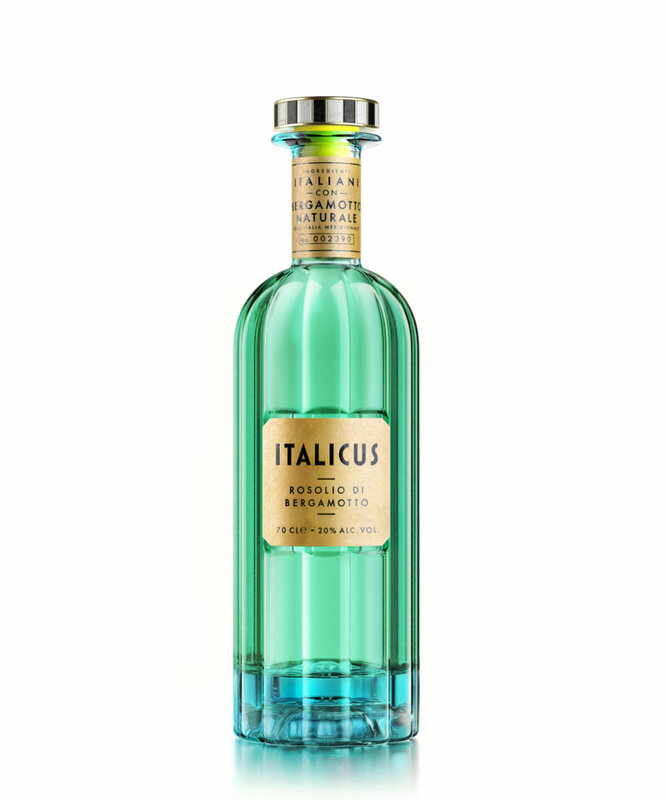 Italicus leans on Italy’s original aperitivo, Rosolio, a liqueur enjoyed by the Kings of Savoy. For us commoners, the spirit—made with bergamot oranges and citrons—is great to use for a Negroni Bianco (just add gin and vermouth). But if we’re being honest: We’re all about this beautiful bottle. It will be a great addition to anyone’s bar cart or home liquor collection. Purchase on Bitters and Bottles for $46.50. We know not everyone has a sweet tooth, but for those who do: Dave’s Sweet Tooth Toffee can sure quench that craving. The decadent treat is cooked up in Michigan one batch at a time from a family recipe. Purchase a variety pack, so you can gift (if you don’t eat it all first) flavors like Peanut Butter Crunch and Coffee Toffee. Purchase the Toffee Collection from Dave’s Sweet Tooth Toffee for $29.95. 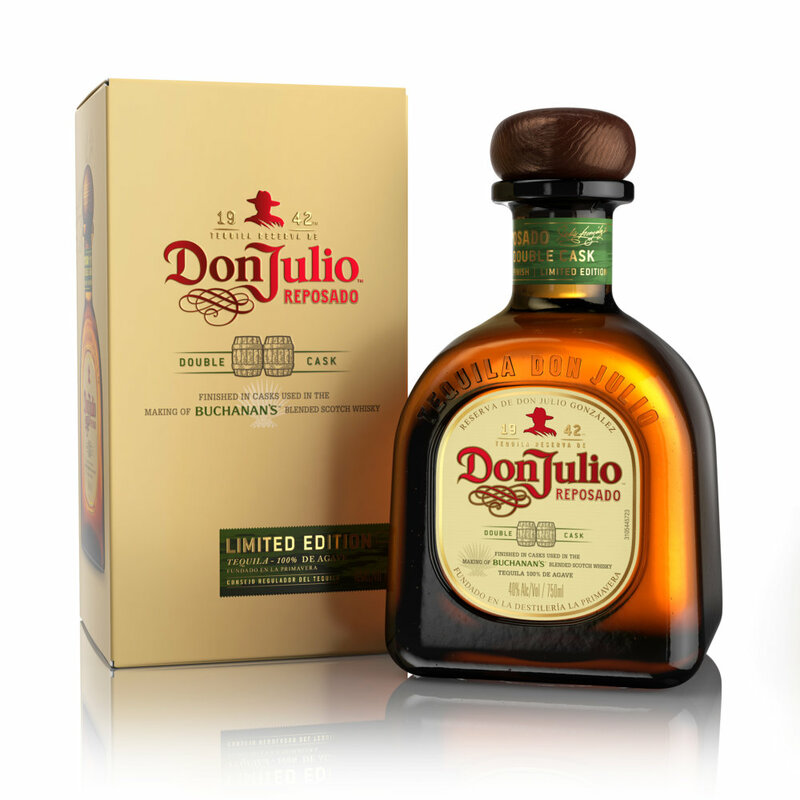 This limited edition bottle of Don Julio is perfect for any tequila—or scotch whisky—drinker. Created by Master Distiller Enrique de Colsa, this traditional Reposado is finished in casks that previously held Dalwhinnie Single Malt Scotch Whisky. The result is a liquid gold with a peaty finish on the nose and hints of chocolate malt on the tongue. Purchase on Drizly or in a local liquor store for approximately $59.99. 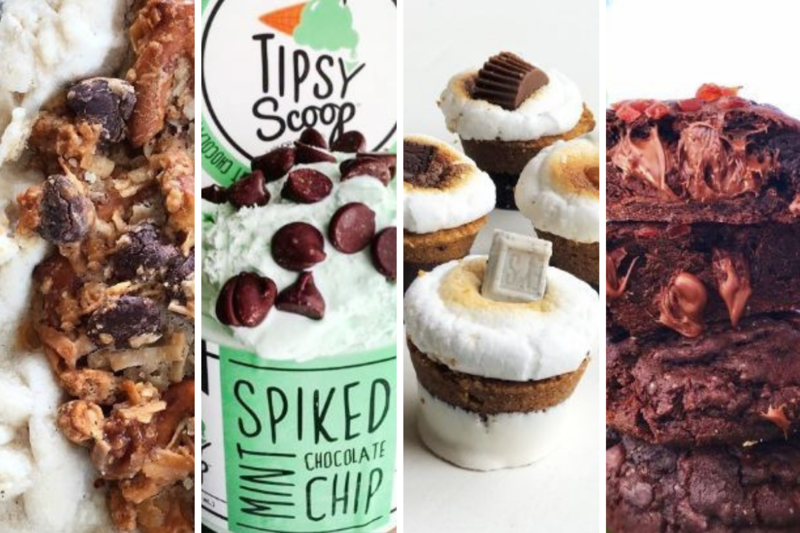 A Texas trash pie, Tipsy Scoop from New York, S’mores from Los Angeles or enormous cookies from Hawaii—all of these and more are options when you gift a Goldbelly gift card. The website can ship all sorts of regional foods around the U.S. And not just sweets! They do bakery and deli items, pizza, meats and more. The sky is the limit! 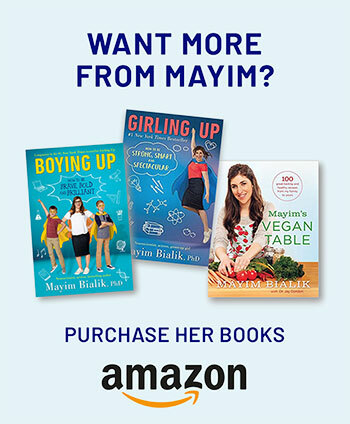 Purchase a gift card on Goldbelly starting at $25. Your gift recipient doesn’t have to be Salt Bae to appreciate this thoughtful present. I mean, who doesn’t love a good dose of salt!? 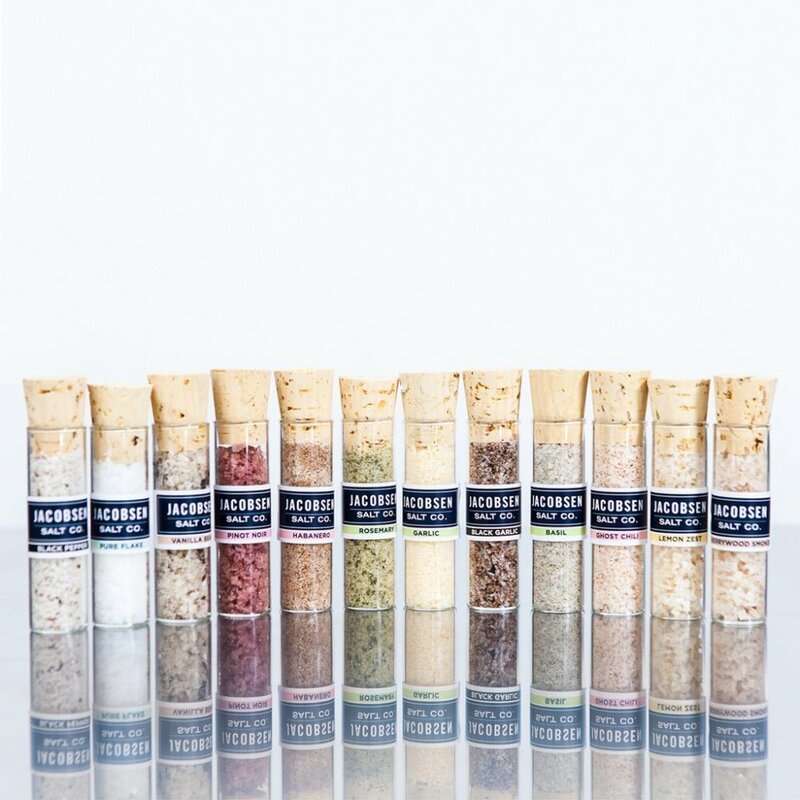 The multipack from Jacobsen Salt Co. contains 12 8-10 gram vials filled with varities the brand’s infused salt line. Your gift recipient can infuse their cooking with pinot noir, basil, habanero or lemon zest salt. Purchase the gift pack from Jacobsen Salt Co. for $48.